FAYETTEVILLE, North Carolina (WTVD) -- UPDATE: Fayetteville Police said Friday they have found and spoken with Ashley Davila in regards to the shooting incident. Police are still wanting to speak to Heather Carter and are seeking the public's assistance in finding her. Carter is described as 5-5, about 160 pounds with reddish hair, brown eyes and a fair skin tone. She has the tattoo of "Clover" on her ankle, a "J" on her wrist and "Heather" on her shoulder. Anyone with information on her whereabouts should contact Fayetteville Police. 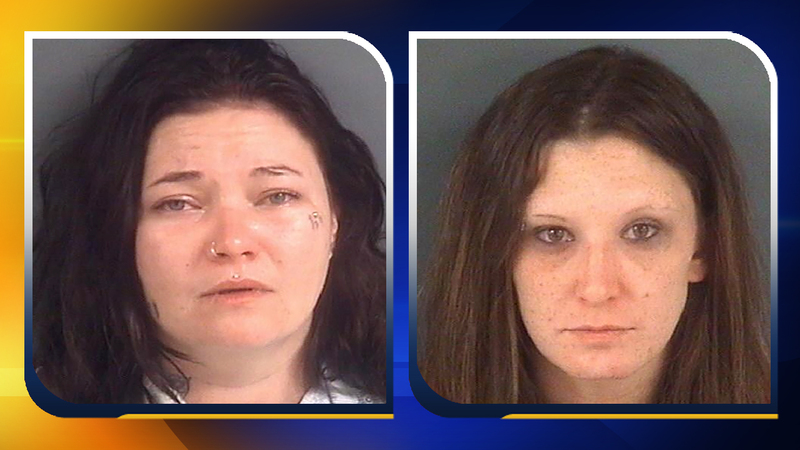 Fayetteville police are wanting to talk to two crime victims. Officers were called to the area of the Zip-N-Mart at 2413 Hope Mills Road around 3:50 Wednesday morning. The investigation shows that 29-year-old Ashley Davila and 28-year-old Heather Carter were near the convenience store when a person started shooting at them. Davila was shot in the hand; she managed to drive away from the scene. Carter couldn't get back in the car with Davila. Detectives are worried about Carter's safety, and they're asking anyone with information on where she is, to come forward. They also want to talk to Davila. She was arrested on an unrelated charge. She posted bond but hasn't made contact with detectives. Anyone with information concerning the shooting or the whereabouts of either person, is asked to contact Detective G. Watson with the Fayetteville Police Department at (910) 303-9554, Sergeant P. Orellano at (910) 988-6543 or Crimestoppers at (910) 483-TIPS (8477). Crimestoppers information can also be submitted electronically by visiting http://fay-nccrimestoppers.org and completing the anonymous online tip sheet, or by downloading the FREE "P3 Tips" app available for Apple devices in the Apple App Store and available for Android devices in Google Play.